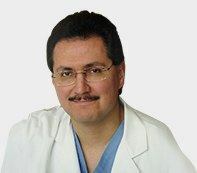 Dr. Victor Gonzalez is Board Certified in General Surgery by the American Board of Surgery and is a fellow of the American College of Surgeons. He is fellowship trained in Advanced Minimally Invasive General Surgery and Bariatric Surgery. Dr. Gonzalez performs many General Surgery procedures including surgery for: chronic acid reflux (Nissen fundoplication and EsophyX TIF), gallbladder surgery (cholecystectomy), hernia surgery (hiatal hernia, inguinal hernia, ventral hernia, incisional hernia, and umbilical hernia), intestinal surgery (small intestine, colon), stomach surgery, etc. Dr. Gonzalez performs most of these surgeries using minimally invasive techniques to minimize pain and length of recovery.